My wife found this in an old art magazine, dating back to October, 1944. One would wonder what IBM was doing advertising to artists, but during World War II, with rationing in effect, no one could buy just any old thing. So companies advertised just to keep their brand names in front of consumers so that when the war ended, they’d remember the company’s name. The ad shows the starkly simple production style of 1944. No fancy visuals. 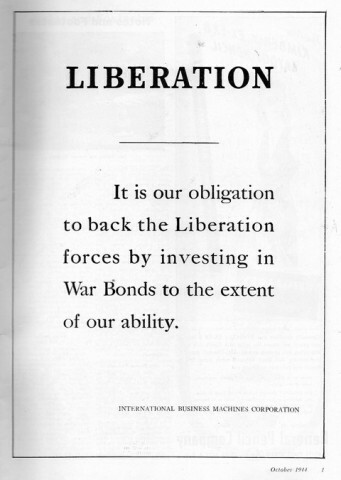 In fact, it was intended to emphasize the company’s economy and dedication to the war effort—no frills allowed! I worked much of my adult life for IBM and retired from them in 2013. I’m very proud to say I was (am) an IBMer. This entry was posted in Personal and tagged IBM history. Bookmark the permalink.